The superior technology of our five-axis milling machines give us the ability to do projects that only a handful of shops in the U.S. can handle. We are one of only a few locations within the West Coast area – and one of even fewer on the Front Range – that can handle the most challenge machining jobs. Accurate to .00005″ and extremely efficient, our machines have what it takes to turn your ideas into reality. Five-axis (5-axis) milling or machining refers to the machining of a part wherein the part’s geometry is typically complex and requires the machine tool to position and articulate the cutting tool along 5 axes of motion versus the more common 3 axes (X,Y,Z). 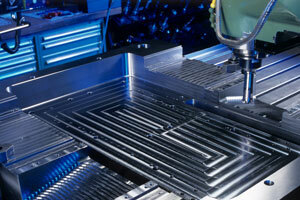 The CNC machine tools that are used in this process are called five-axis machines or five-axis machining centers. 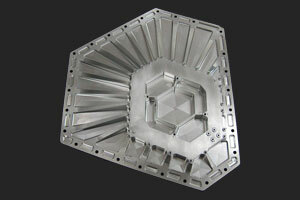 Five-axis machining is most commonly used in the aerospace, defense and medical industries. 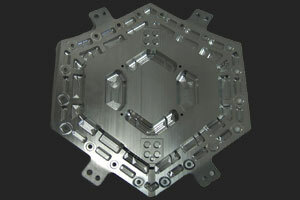 Five-axis machines can also increase efficiency on prismatic parts by allowing multiple sides of a part to be machined at one time.